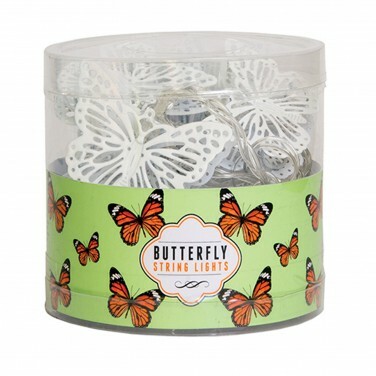 Decorate your child's room with sweet butterflies lit by warm white LEDs for a soft, reassuring glow. Ideal for adding subtle light to kids rooms, these delicate metal butterfly fairy lights are lit by warm white LEDs for a soft, welcoming glow. 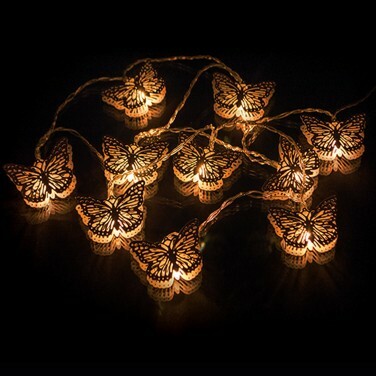 Battery operated, place these decorative lights around your child's room around bed frames, along shelving, curtain poles and more for soft fairy lighting that adds a touch of magic and will comfort and reassure at night.